Looking for the perfect couple coach for your next around-the-country trip? That’s why we’ve created a list of the top 5 best class C campers for you. Trust me when I say that this makes it way easier to choose which one would work best for you and your significant other! Anyone who knows recreational vehicles knows seasoned RVers look for state-of-the-art amenities and a floorplan length that works best for however many people you have in your party. 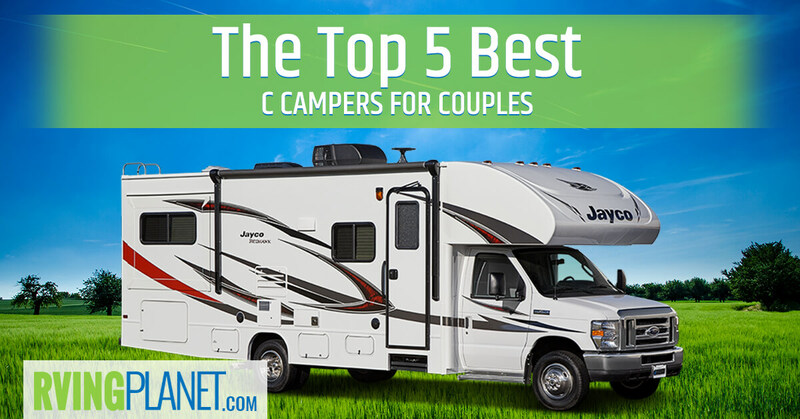 Whether you know a lot or just a little, we’ve got you covered with this list of class C campers for couples! 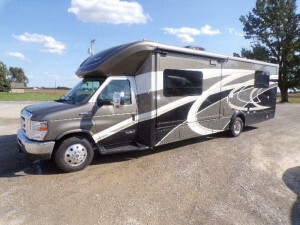 What puts an RV on the list: We looked for Class C Campers for couples that had fantastic reviews and ratings, and we narrowed that list down to those under 27 feet, ensuring that you will be able to camp almost anywhere across the states. Has All The Aspects of a Camper For Couples! 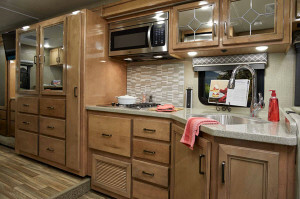 View All Winnebago Aspect Class C Motorhome Floorplans! Why we recommend the Winnebago Aspect Class C Motorhome: Of all of the choices available, the Aspect Class C by Winnebago seems as if it was designed with couples in mind. It provides 2 floorplans: Aspect 27K and Aspect 30J. 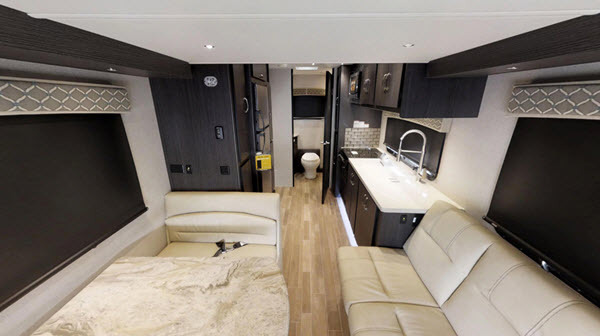 Both sleep up to 4 people and provide you with a bedroom in the rear. The only difference between the two is the length of both and the number of slide outs, so make sure that you cover all of your bases when considering which one you’d like better. 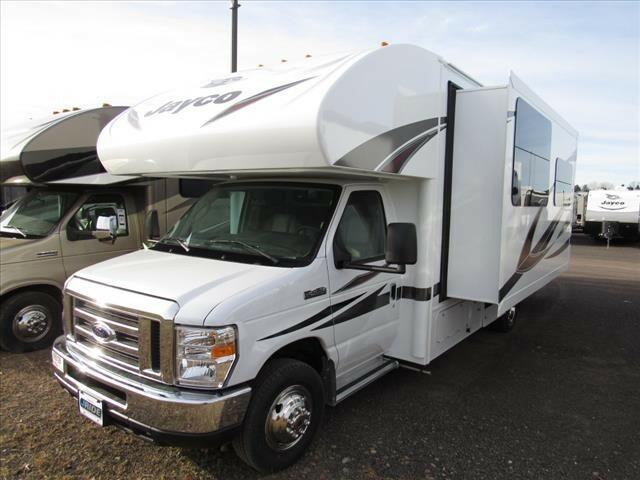 Thanks to the 305 HP Ford Engine that puts the mileage between 8 and 11 miles per gallon, the Aspect makes for a great couples camper that gives you a smooth, easy driving experience. Give one look at the features page of this RV, and you’ll notice that the cab convenience section has a varied list of amenities that include fixed lumbar supports, cruise control, power assist steering, and sun visors. The available options only add to the luxurious driving experience of this Class C Camper! The Highly Affordable Full Time Class C! View All Dynamax Isata 3 Class C Motorhome Floorplans! Why we recommend Dynamax Isata 3 Class C Motorhome: This motorhome is a great contrast to the Aspect, but with similar features that make it a great RV. The Isata 3 has fantastic ratings that claim it’s all easy driving and a luxurious camping. The Isata 3 24CB and the Isata 3 24FW are great choices, but the best in our opinion is the Isata 3 24RW due to 2 slideouts, which conveniently increase the sleeping capacity– ; something you’ll appreciate as motorhomes are sub-25 feet. Many owners of the Isata 3 have reported receiving a mileage that varies between 10 and 18 mpg, which is nothing short of incredible for you and for the environment! 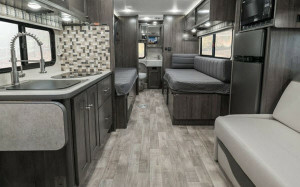 Depending on how far and how long you drive on your couple’s trips, you’ll be saving hundreds on your gas bills with this Class C. The enjoyment you’ll obtain from these comfort-living features will be over the top with premium vinyl flooring, Italian cabinetry, stereo system, 32-inch LED TV. 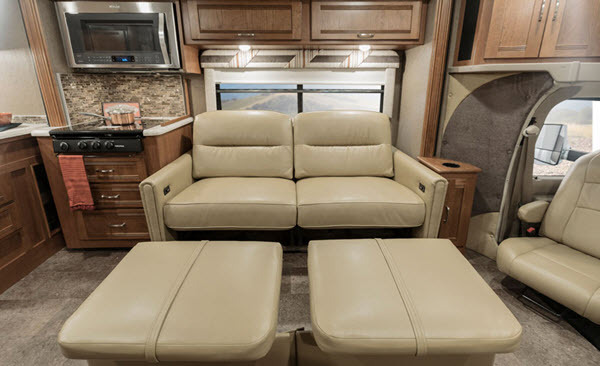 You can choose to upgrade with a myriad of choices ranging from two solar panels to a tri-fold sofa instead of the dinette. The enjoyment you’ll obtain from these comfort-living features will be over the top with. 4 different floor plans available! 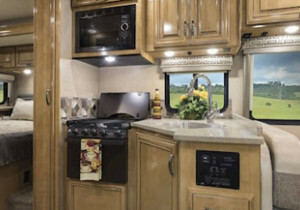 View All Jayco Redhawk Class C Motorhome Floorplans! 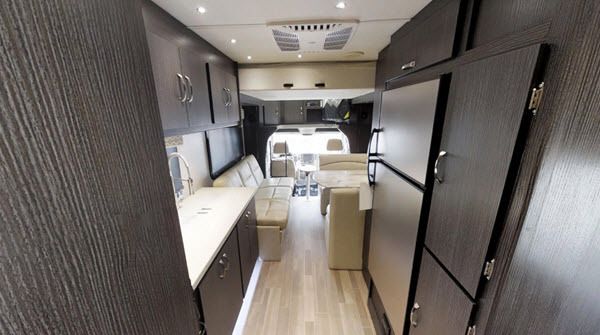 Why we recommend Jayco Redhawk Class C Motorhome: While the Redhawk 22J is the only floorplan out of the 7 that are made for couples, we prefer this Jayco Class C by the sheer number of users and critics who’ve absolutely loved it. The only other floorplan that could be fit for couples is the Redhawk 24B, which has a slightly larger footprint and features a bunk over cab and a U-shaped dinette. It also has great mileage, ranging between 8 and 11 mpg. The Redhawk has included features that you’ll definitely love if you’re RVing for the first time in a motorhome. The mandatory customer value package comes equipped with the JRIDE that has computer balanced driveshaft, standard front and rear stabilizer bars, hellwig helper and rubber isolation mody mounts. Apart from those, you also have a myriad of features that adds convenience and luxury to it. In a nutshell, we have no problem recommending the Redhawk to anyone that’s in the market for a class C camper for couples. Where Style Meets Fuel Efficiency! 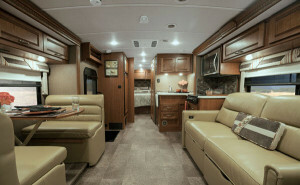 View All Winnebago Fuse Class C Motorhome Floorplans! 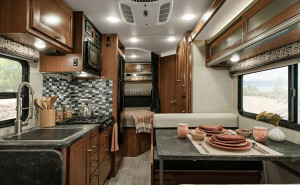 Why we recommend the Winnebago Fuse Class C Motorhome: One look at this camper for couples and it’s clear that the Winnebago Fuse was built with couples in mind: the Fuse 23A, Fuse 23F and the Fuse 23T. They’re quite similar in most physical aspects. The only noticeable difference is the layout change and the sleeping capacity of 3 in one of the floorplans. The Fuse offers the Ford Transit Chassis, making it a great choice if you’re worried about how much you’ll be spending on gas! After all, what class C can score 18mpg in real world tests? The 18 mpg may lower to 10 or 11, depending on a number of factors, so be sure to check and make sure that you’re doing all you can to save on that money. With just the two of you on your vacations, you’ll be able to enjoy that extra saved cash on your favorite trip. Even the lowest mileage of the Fuse trumps the maximum of quite a few Class Cs on the market. All in all, the Fuse offers a particularly great motorhome for couples considering the low cost, medium size, and fantastic layout. When Budget Friendly Meets Longevity! 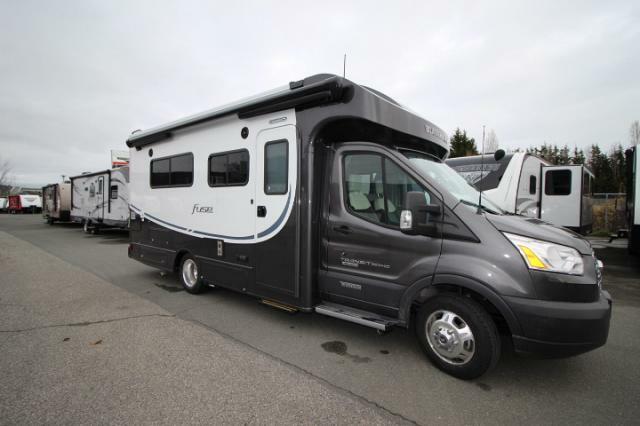 View All Thor Quantum Class C Motorhome Floorplans! 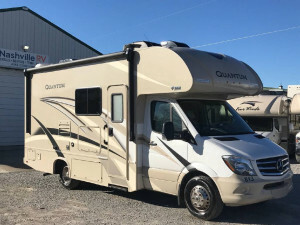 Why we recommend the Thor Quantum Class C Motorhome: Although the Thor Quantum is number 5 on our list, it doesn’t mean it’s any less perfect than the number 1. You’ll find that the featured Quantum GR22 floorplan makes a great camper for all of your favorite campgrounds. 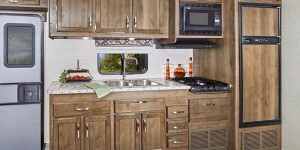 The 24 foot length makes it easy to roll into your ideal campsite. If you prefer off-roading with your significant other, the shorter length will also help with you driving in between the trees and upwards through the mountains. The features vary slightly depending on the floorplan, but the GR22 is a great choice for couples ready to get out on the road. It features a Ford Chassis. The GR22 features a Ford Chassis with an optional upgrade to a Chevy model, exterior mega storage compartment, leatherette captain’s chair, among others that are upgradeable as well. And there you have it! These are top-notch class C motorhomes for sale that will be exceptional for someone heading into the RVing world and looking for a camper that will start them on their RVing journey the right away! Share with us your favorite class C campers for couples in the comments below! 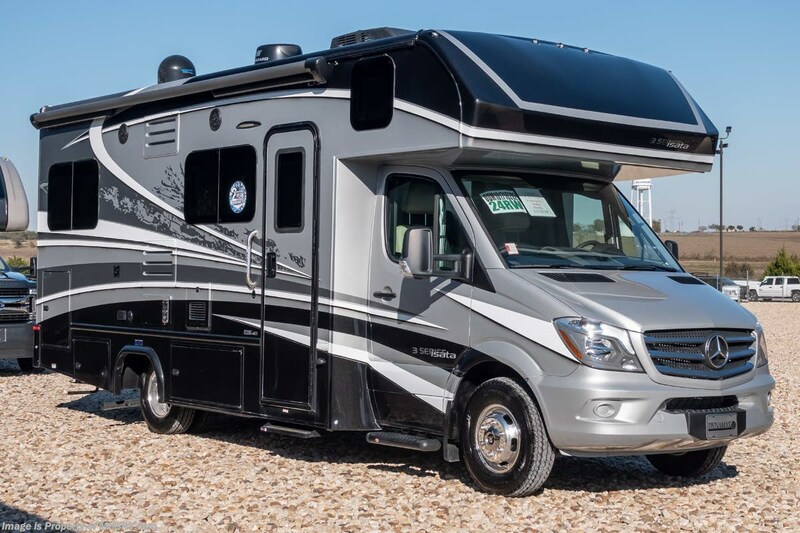 Raza helps our readers improve their “RV Buyer’s Journey” by creating extremely valuable product reviews. 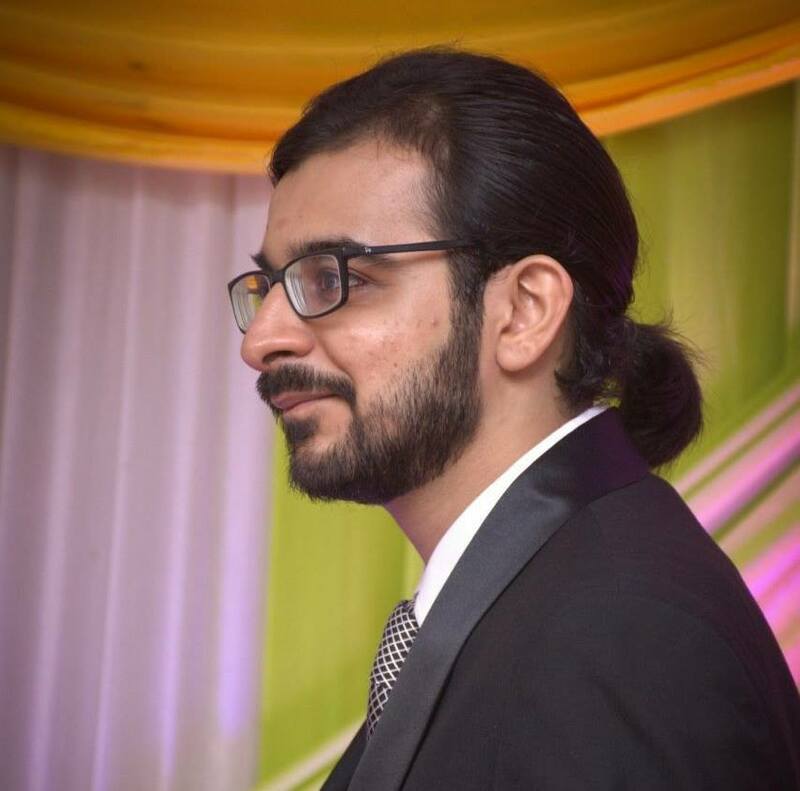 His expertise is research and content creation. He is super friendly, and loves to travel whenever he gets the chance!